Lately, self-balancing scooters seem to be sweeping the country as a fun, simple means of transportation. Whether you want to ride to the store, travel between building at work or school, or just ride around the driveway or house for recreation, these boards are lightweight and convenient. 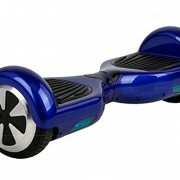 One of the top self-balancing boards is the MonoRover R2. Before you make your decision about which scooter is right for you, here is a review of one of the best. It is likely that the first thing you notice about the MonoRover R2 is the cost. For a legitimate model, you can expect to pay between £200 and £400. There are some models that cost less, however, these often come from unauthorized sellers of the MonoRover R2 (you can find more about this in the warranty section). 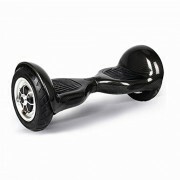 When compared to the price that you would pay for a Phunkee Duck board or an IO Hawk scooter, you can feel reassured that you are getting a great bargain. In the box, the MonoRover R2 comes with the self-balancing board, a charger, and a manual. You will notice that it is well-designed and very lightweight. This is great because it means that you can easily carry it when it is not in use. Some companies also include a carrying bag, but you should not expect this from all sellers. The board itself is designed very sleekly. It comes in all black or black and white and looks great coming out of the box. Unfortunately, a lot of the components of this self-balancing board are plastic. This means that they scratch easily, which is definitely a downside if you plan on using your scooter on concrete or asphalt. The board is sold as being appropriate for anyone between the ages of 14 and 45. This does not mean that the older or younger generation cannot learn, however. The company recommends that riders under 14 and riders over 45 work with a riding buddy. This is to ensure the safety of MonoRover R2 customers. The first thing that you have to accomplish to learn to ride the MonoRover R2 is mounting and dismounting the scooter. Foot placement is made easier by the light that will turn green once the self-balancing motor is activated. Some find it easier to place one foot to turn on the first motor before placing their second foot on the board. You can also have a friend help hold you up on the board until you get the hang of balancing. Often, users can learn to ride in 15 minutes to 2 hours. This has a lot to do with confidence and balance of the individual rider. It is best to learn on a smooth indoor platform with kneepads and a helmet for protection. Once you have learned to ride, the MonoRover R2 can be ridden outdoors on concrete, asphalt, grass, and even across small bumps. Compared to other models, the MonoRover R2 self-balancing scooter offers a very smooth ride. It is capable of tight turns and can handle bumps quite well. One thing to note is that you do have to take caution on inclines. If you start to go too fast, the self-balancing motor automatically switches itself off to protect the internal parts of the board, as well as the rider. 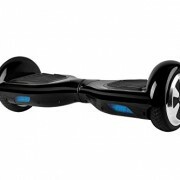 However, the scooter makes a beeping noise as a warning before the motor shuts off, giving you time to dismount. Another thing to note is that self-balancing scooters in general can leave you feeling quite sore. This is because it requires you to use muscles that you are not used to using in your legs. Once these muscles are healed, however, you can ride your MonoRover R2 without any soreness. As far as durability, the MonoRover R2 swegway does not have quite as much to offer as a self-balancing scooter with a steel outer parts. Its outer parts are made of plastic, so they are very susceptible to scratching. Additionally, if you are particularly rough on the board, you can cause the outer shell to crack. This is often the result of riders who are trying to tackle jumps or very difficult bumps with the scooter, however, and most boards do not have this problem. The other thing to note is that the wheels are of lower-quality. They scratch very easily. Additionally, they become quite hot when you ride them on pavement or asphalt on hot days. MonoRover R2 comes with an indicator that will let you know when the battery is low. 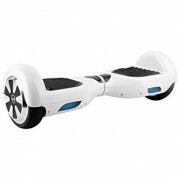 It does ride for up to 30 minutes or an hour after the battery indicator comes on. The major downside is that there is no indicator of battery life other than this warning. This product would be slightly better if it had a more specific indicator. When a company backs their product with a warranty, you can feel assured that they think highly of their product. 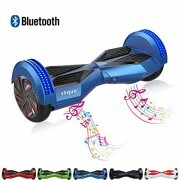 One thing to note, however, is that the warranty for the MonoRover R2 is only valid if you have purchased the self-balancing board through an authorized seller. The most popular authorized seller is Sharkoo, though you can find a list of the sellers that you must purchase through for a valid product and warranty on the MonoRover website. 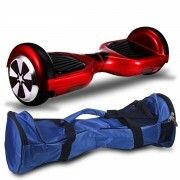 When you consider the benefits of this board, it is a fantastic deal for the price you are paying. There are a few drawbacks, but overall, it offers a smooth, relatively quick ride. It is also easy to learn to use, even if you do need to spend in hour or two working on your balance first. This is all backed by a year-long warranty when you purchase from an authorized seller, so why not give this self-balancing scooter a try?